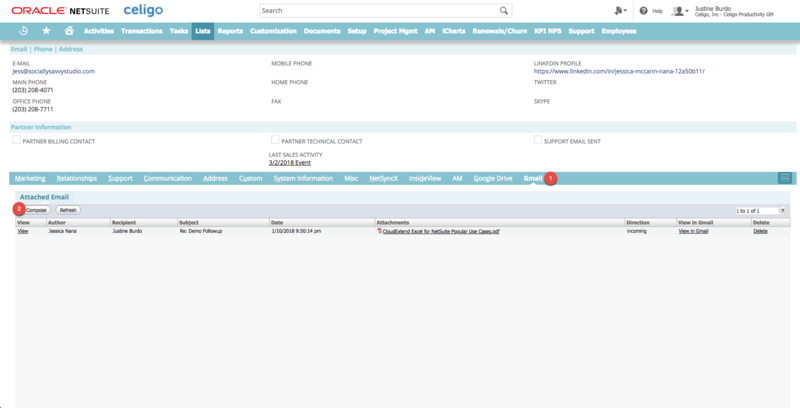 Step 1: Once in a record in NetSuite, click on the Gmail tab (1) and then click on Compose (2). 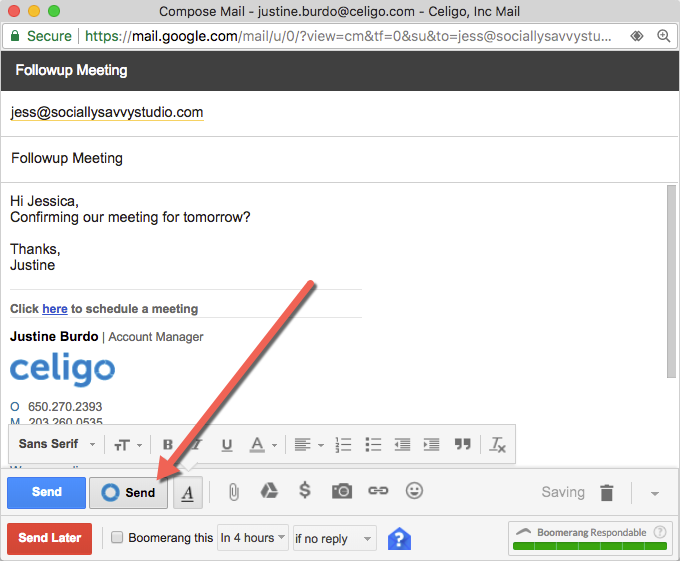 Step 2: Your Gmail Compose frame will open. We will generate the email address for you based on the email address associated with the record. Type your email and hit the Celigo Send and Save button. Step 3: Your email is now also saved to the record.